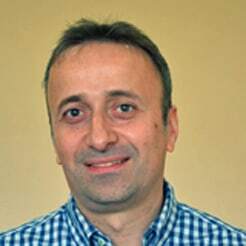 Roman Tsutskiridze has more than 20 years of experience in international development in Georgia, including 15 years for USAID-sponsored activities. He currently serves as a Chief of Party with ME&A for the five-year USAID/ Georgia Human and Institutional Capacity Development 2020 (HICD 2020) Activity designed to assist USAID/Georgia in addressing its partner organizations’ administrative limitations and performance gaps that impede the effective implementation of key reforms, including those related to the European Union Association Agreement, the Open Government Action Plan, and civil service reform. Prior to ME&A, Mr. Tsutskiridze served as Chief of Party and Deputy Chief of Party for the HICD 2020 predecessor project, HICD PLUS. His earlier international development experience includes a variety of USAID – and EU -sponsored activities. Mr. Tsutskiridze holds an M.S. in Civil and Industrial Engineering and Construction Management. He has completed multiple courses related to Human and Institutional Capacity Development (HICD) and is a Certified Performance Technologist (CPT). He is fluent in Georgian, English, and Russian.